ATLANTA–Dr. 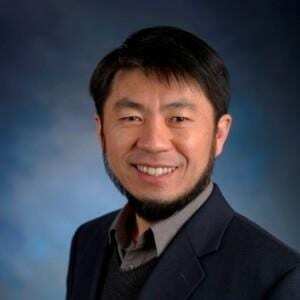 Gangli Wang, professor of chemistry at Georgia State University, has received a three-year, $485,263 federal grant to study how nanostructured materials, or materials with hollow structures on the nanometer scale, affect how other substances pass through them. The grant from the U.S. Department of Energy’s Office of Basic Energy Sciences will support fundamental research that could advance applications such as desalination, or water purification, and energy harvesting, or power generation. The researchers will study the movement of substances through a single or array of apertures in nanoscale dimensions, or one billionth of a meter. They will perform experiments and computer simulations to vary the aperture geometry and surface charges to affect the behavior of materials that come in contact with it. Water desalination technology, the process that removes excess salt and other minerals from water to obtain fresh water suitable for consumption, is important because of the increasing global demand for fresh water, environmental concerns to recycle or reuse industrial waste of brackish water and needs in resource-limited conditions. Desalination is performed through techniques that require significant amounts of energy, with a key step using permeable membranes that can be improved. This research could also be used to extract energy more efficiently from unconventional sources such as estuaries where sea/brackish water and river/fresh water meet, said Warren Brown, a recent Ph.D. graduate from Wang’s lab. This energy-harvesting strategy is basically the reverse process of desalination. The study will provide fundamental insights on how to design and improve the efficacy and efficiency of these applications.